This week, I had two wisdom teeth pulled. As wisdom tooth removals go, I know I had it easy. Both were fully “erupted,” as they say in the dental biz, and came out without a lot of yanking. When you have teeth pulled, there are certain things you can’t do for the first twenty-four hours to prevent unnecessary pain or bleeding. I didn’t mind not being able to drink out of a straw. I’ve never been a smoker, so I didn’t miss that. Sure, a diet consisting of nothing but cream of wheat, yogurt, and applesauce gets kind of boring, but it was just for a day, so that was no biggie. But there was one thing that really annoyed me: going more than twenty-four hours without brushing my teeth! I could feel the grime building up in my mouth. When I ran my tongue over my teeth, there was this thick layer of crud coating them. It was disgusting! When I could finally brush again, ever so gingerly, it was a great relief. This might seem like a pretty random way to begin a blog post about prayer. What, you may ask, does brushing your teeth have to do with praying with your spouse? The answer is that praying with your spouse should be as much a part of your routine as bushing your teeth. It should really bother you when you miss it. It should not be something you do only on special occasions, but a part of your daily routine. It’s an aspect of good marital hygiene. However, Praying Together is probably the most critical of all. If there is one gift you can give your spouse for Valentine’s Day, this would be it! Praying together doesn’t have to be elaborate or require extended periods of time. It’s far more important that you pray together as part of your regular routine, even if for only a few minutes a day. When You pray together, you are acknowledging that God is really the center of your marriage. You are coming together to your Father as one, seeking His direction and intervention in your lives. Because you are hearing the burdens your spouse is bringing to God, you are more in touch with the battles he or she is facing. And Christ promises that whenever two or more are gathered in His name, He is in their midst. That promise certainly applies here. As you come together with your spouse in the presence of Christ, His Spirit can guide and direct you in how to pray according to the Father’s will. As we learn together to pray according to God’s will, we will see more of our prayers answered because whenever God’s children ask anything according to His will, He hears and grants the petitions we have asked of Him (1 John 5:14-15). So think about your schedule. When can you and your spouse pray together? First thing in the morning? Last thing at night? It’s not so important when you do it, but it is crucial that you do it! Resolve this Valentine’s Day to make Praying Together a priority and a habit. 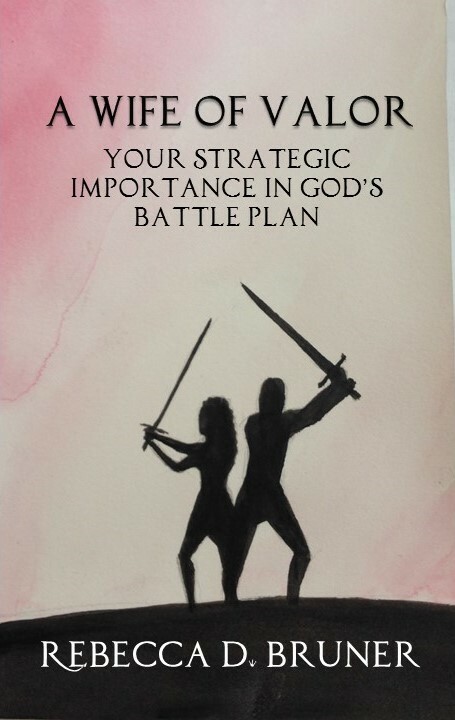 Adapted from A Wife of Valor: Your Strategic Importance in God’s Battle Plan. This entry was posted in crowd funding, Indiegogo, Love, Marriage, Prayer, Valentine's Day, Wife of Valor, Writing and tagged Indiegogo, Prayer, Valentine's Day, Wife of Valor, Wisdom Teeth. Bookmark the permalink.